Lexington , SC (WLTX) – Science, math, English, and chess? Some Midlands schools are adding the game of skill to their curriculum. But organizers say it’s more than just a game. On Thursday, it wasn’t your typical scene in Saxe Gotha Elementary School’s library. Kids were hard at work trying to out think and out play their friends at chess. Pedro de Abreu is the founder of a non-profit called the Check Mate Foundation ,which brings the game of chess to elementary schools. Lauren Roundtree is the foundation’s ambassador and has helped de Abreu develop and grow the organization. De Abreu said he knows first hand how this game can transform the way kids think. Today de Abreu is a student at Midlands Technical College and was just named the 2011 New Century Scholar, one of only 50 recipients nationwide. 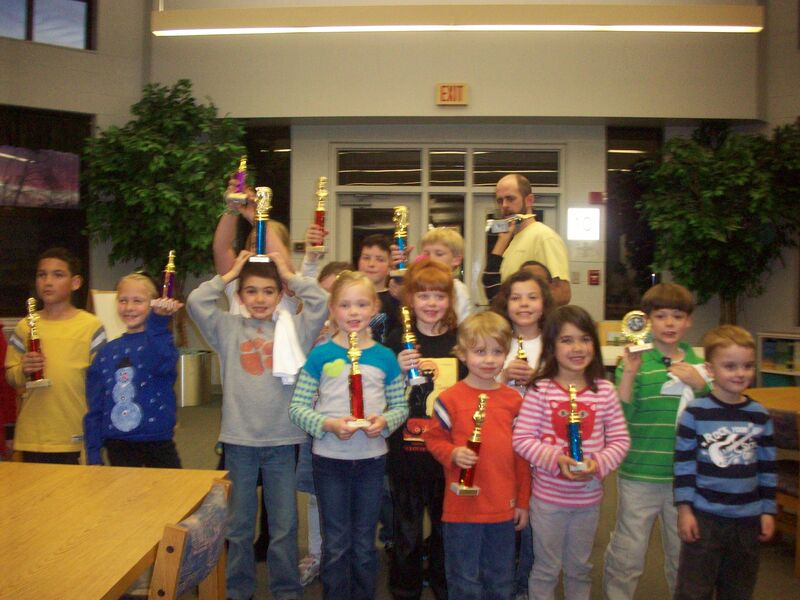 The semester long class wrapped up on Thursday with a tournament and 4th grader Morgan Reeves had a plan to win. These kids might not know it yet but Pedro says that in the game of life, chess will give them an advantage. Some students say their math and science grades have gone up since playing chess. 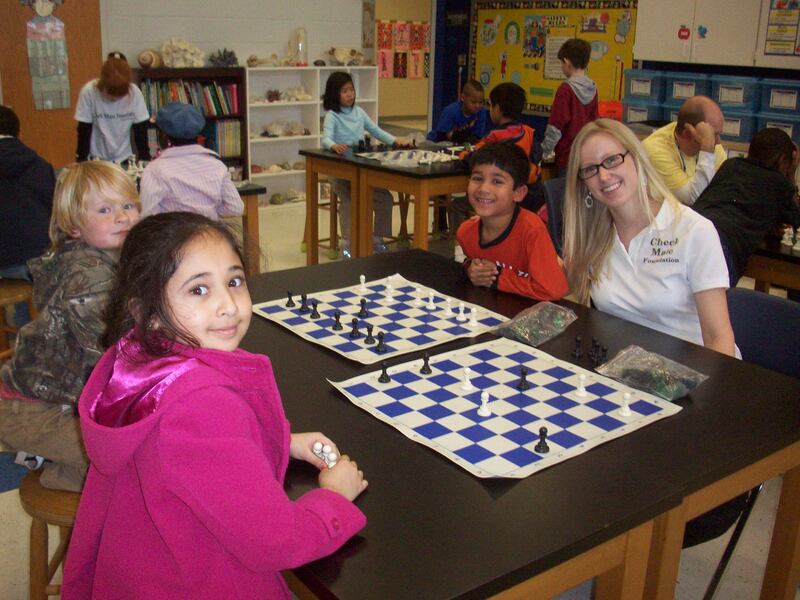 De Abreu’s hope is that the Check Mate Foundation will eventually be in every elementary school in the state. Currently they’re at River Springs in Irmo and Saxe Gotha. Welcome! We are glad you are here with us to find out more about the Check Mate Foundation. We have just sent our first newsletter and we hope you enjoyed learning more about us, our mission, and general objectives. It is with great honor that we are able to serve, and we do so out of belief, a belief that no one should be denied a great education. We hope that you and your children are having fun with chess. If not in an academic sense, maybe it is in a family bonding one. We have heard countless stories from parents whose children have started playing with them and how chess helped create an extra bond in the family. This is our second month of operation in the year of 2011, and all students have been asking us about the championship that will take place at the end of the semester. They are excited and looking forward to it – so it is with champions. And we at the Check Mate Foundation can’t help but to be proud of them for their accomplishments. We had such a great semester this past semester that we thought it would be hard for it to be surpassed, both in terms of joy in teaching and in terms of interest in learning. Our assumption, however, did not last very long. This past Friday we had our very first class and it did surpass all of our expectations. Once again we were blessed with a number of students who were both eager and curious to learn the mystery behind the game of kings. And fortunate are we, too, to have such supportive parents and faculty who stand by our program because they believe in the value that is brought to the children, to the schools, and to the educational system as a whole. We were astonished with the stories coming from principals and parents of how some children chose to ask their parents for chess sets for Christmas. One family in particular told us how their son started playing chess with his father, keeping up a tradition in the family as the father had played with his grandfather, and so on. We would like to extend a warm welcome to you! For some of us it was early in life when we learned about the concentric waves generated by rocks when thrown in a pond or a lake – they obey a certain trajectory and, when they touch the water, they affect not only the area intended but little waves are also formed, substantially changing the area around it. So we hope that a little act such as what the Check Mate Foundation does might not only touch the hearts of those directly involved, but also of those far away, who would not otherwise have had such chance. And we are thankful and extremely pleased with your support and assistance in helping us do so. I have often said that the total added assets of a country are not and can never be greater than the human capital of its children, and I still (and will always) hold this position to be true. Education is our most prized resource, and, when wisely instilled in our children, it can make them not only better citizens and better thinkers, but it can also make a better country, a better state, a better community and better families. Chess is the Game of King for a reason – it allows one to think, to analyze, express oneself, to predict and act accordingly. Choice, the ability to choose in itself is one of the greatest gifts one may possess. We know that one’s life is the result and consequence of one’s past actions. We, the Check Mate Foundation, are here to help the children find in themselves the wonderful gift of wise choices through careful analysis and reasoning. How much better would the world be if all people stopped and thought their actions thru’ before acting on them? I share the same opinion that you do: much better. School grades would improve dramatically and crime rate would decrease, to cite a few benefits. If that wasn’t enough, if people stopped and thought their actions through, there would be more happy people in this world! Teenagers and young adults would better analyze their career options in college and not just go with that which they think will generate the most money to them, but with that which will fulfill them on the inside. And that’s what happiness is, fulfillment, certainty that the choice and course of action taken have been the right ones. We are on a mission to make champions. We are glad you are here to help. "I am really grateful for what Check Mate has done. My 6 year old has taught both his brother and his sister the game of chess. The overall result has been great in our family. Check Mate is setting them up to win in every way." JoEllen Amick, proud parent at River Springs Elementary.